Episode 013 – How Do I Position the Donor as the Hero? Your donor is the hero. This is one of the hardest concepts for nonprofit staff to accept. 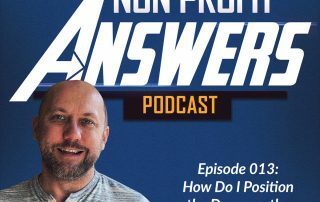 In this episode, Jeremy answers a question about how to position the donor as the hero in your nonprofit communications. Using examples, Jeremy teaches you how to write active copy that presents an appeal from the point of view of a donor.